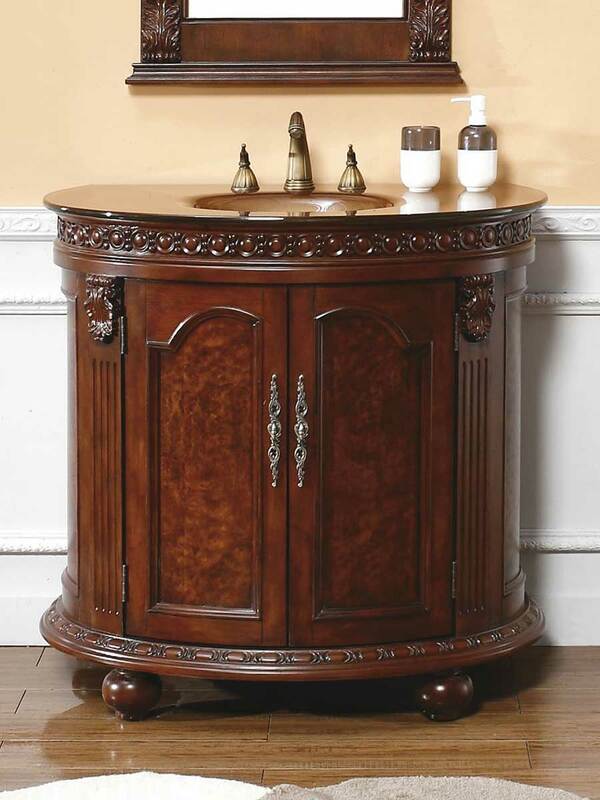 The Cerceda Half Round Bath Vanity offers great transitional style that is perfect for smaller bathrooms. 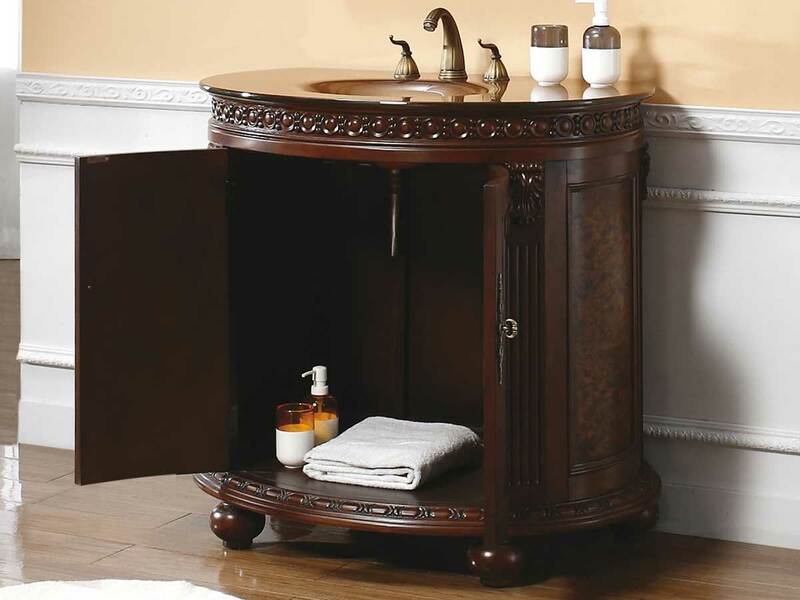 Its round shape saves room while giving this vanity a distinct look. It is constructed from solid birch wood with a rich walnut finish. The top is made from surgical glass with integrated molded sink. Its multi-layer twelve step hand glaze finish prevents peeling, cracking, and fading. 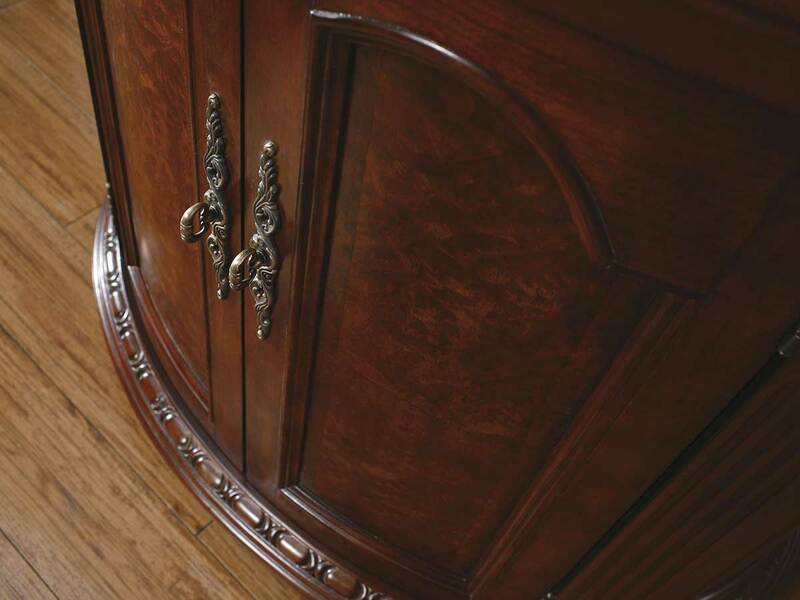 The cabinet features two doors leading to plenty of room for storage. Faucets sold separately. 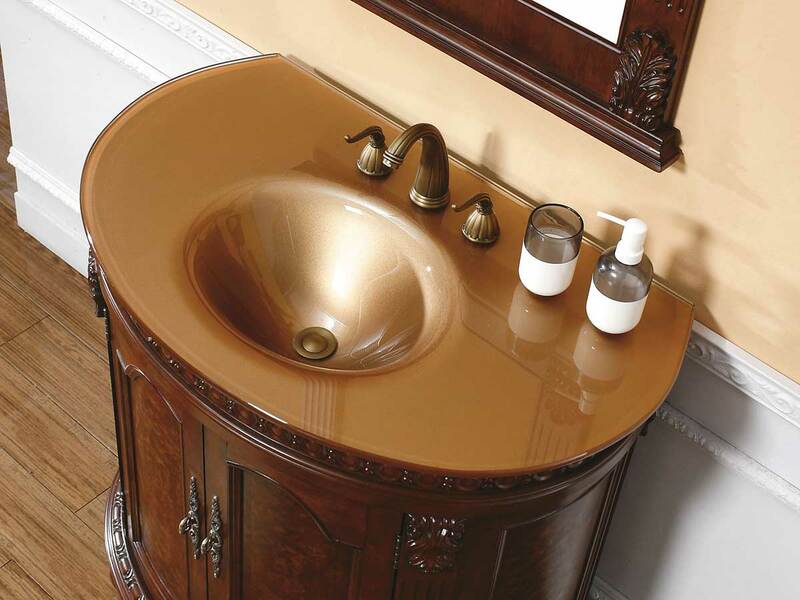 This vanity comes with a large selection of stone tops. These stone tops are 4 cm in thickness and have an eased, mitered edge. Professional installation of these vanities and tops are required. Wooden risers are required with these stone tops, which are pre-attached to the cabinet top edges when you receive your new vanity. They include pre-installed porcelain sink(s) and pre-drilled with three faucet holes in the standard 8" spread. Because the marble and granite used on these counter tops are natural stones, slight variations in veining and color between tops will occur.